My wish came true! 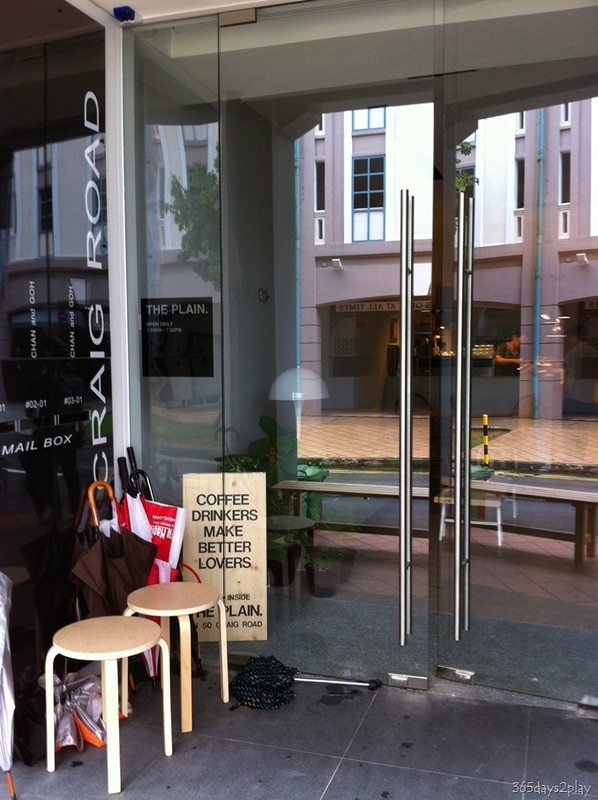 The Craig Road Tanjong Pagar area finally has a cafe! 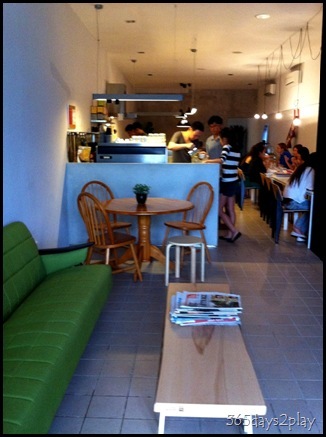 Only a few months ago, I was at Craig Road and lamenting the lack of a nice laid-back cafe in a place as nice as this. And Voila! Someone has heeded the call and set up a cafe there! The Plain (named after Duxton Plain Park) is a Melbourne-styled cafe. 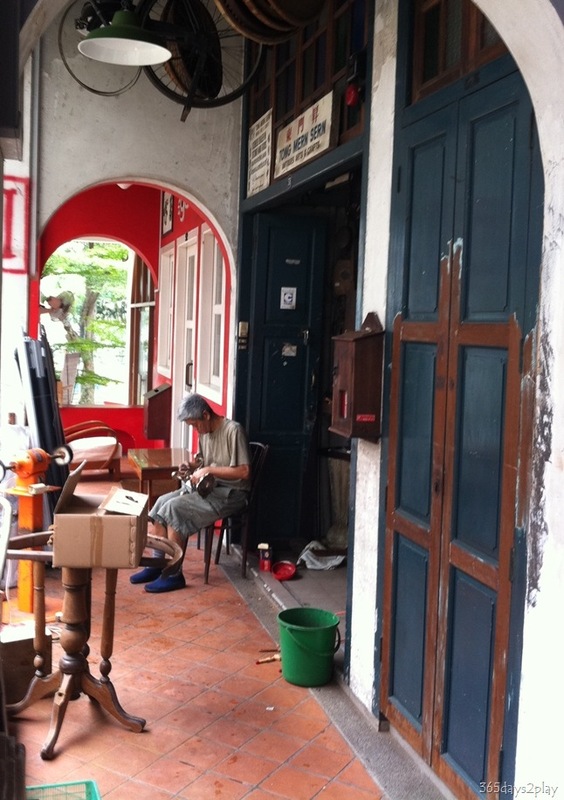 The owner is 33 year old Vincent Teng. After coming back home to Singapore after living in Melbourne for the last 10 years, he felt the lack of a Melbourne-styled cafe here and decided to start his own. I have no idea what a Melbourne-styled cafe is, or for that matter, an Australian-styled cafe either. My Physio who studied in Aussie also lamented the same fact. 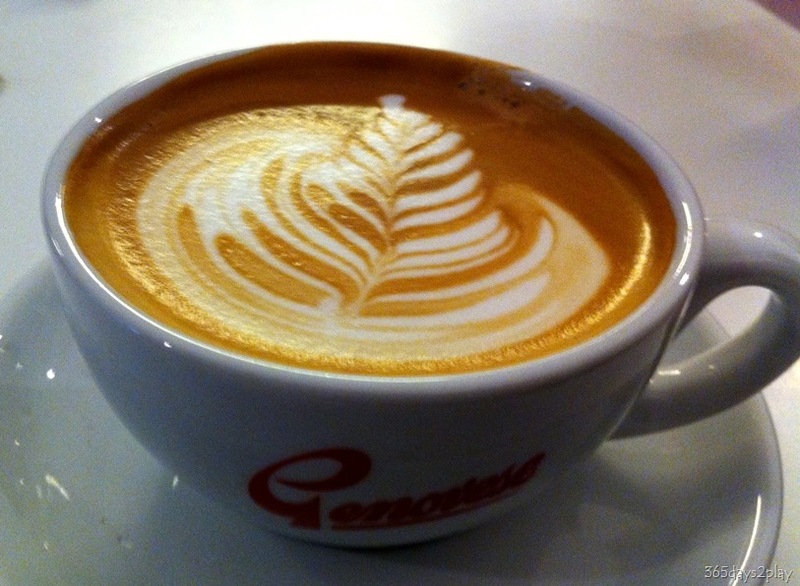 I have been to Australia a number of times but I wasn’t particularly bowled over by their cafes. 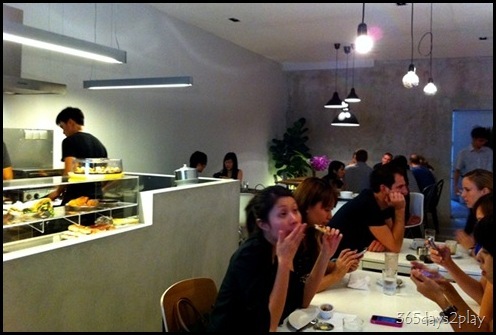 The cafes I visited in Australia looked pretty normal. But who am I to judge if the “experts” who have lived in Australia longer can detect the difference. Anyway, the aptly named The Plain is pretty spartan looking with grey concrete flooring and Ikea looking tables. Despite the spartan look, it’s still a pretty nice place to chill out and to read the magazines they provide, especially on a nice rainy day like today. I had a vague idea it was located in Craig road, and we drove up and down the road twice and even got out of the car to scout around before we finally spotted it. 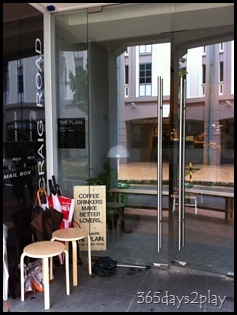 The doors are tinted and when closed and viewed from the opposite side of the road, looks like a sombre office! Doesn’t help that they share a shop-front with Chan and Goh advocates and solicitors! The words “The Plain” is almost hardly visible from anywhere else except when directly in front of the place! When coming here, remember the number 50, then you will find it eventually! and a few other items, which you can check out at The Plain’s website. We were there for coffee so we didn’t get the chance to try any. All the other patrons in the cafe were indulging in these treats and in fact, there was a steady stream of customers from the time we stepped in at about 2pm. 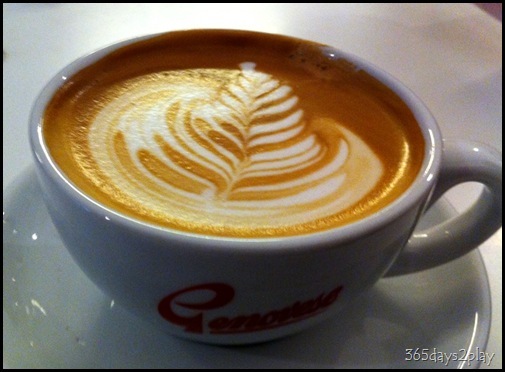 I have to say the coffee we had was very good. 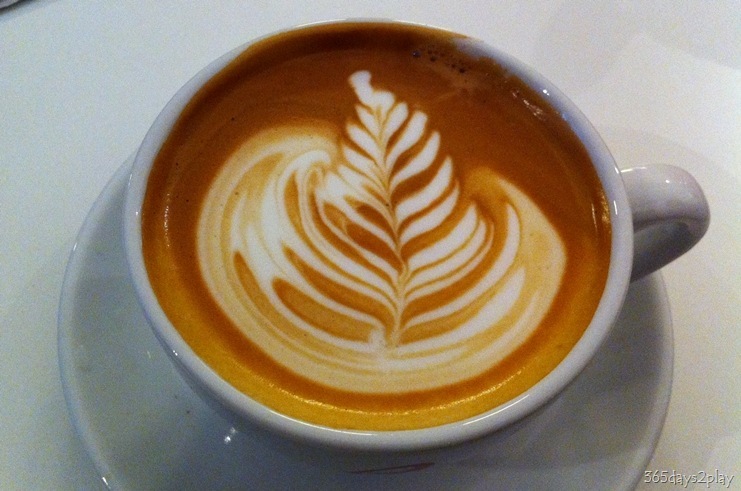 We ordered 2 flat-whites and they were mighty strong with a deep aroma without being too bitter. I don’t really know how to describe coffee but suffice to say that I will be back for more coffee and to try out their breakfast. Spot the cafe? That’s the Pinnacle@Duxton flats behind. 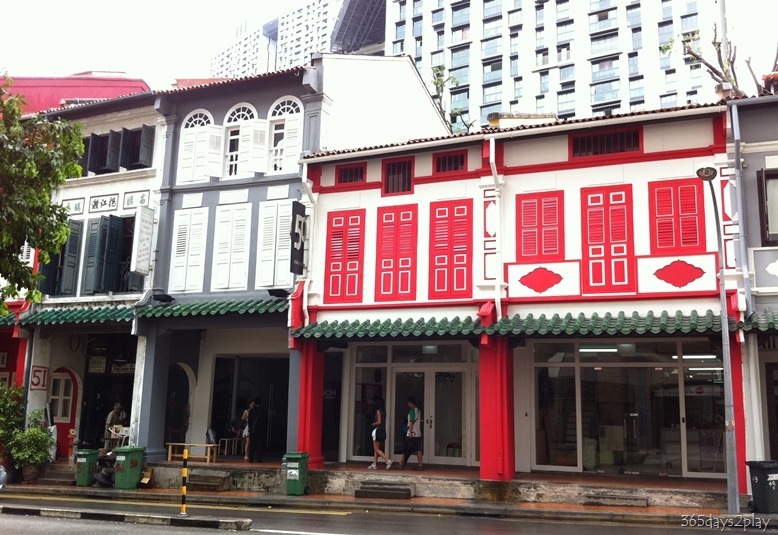 Did you know the flats are standing on a site on Duxton Plain that is historically significant? 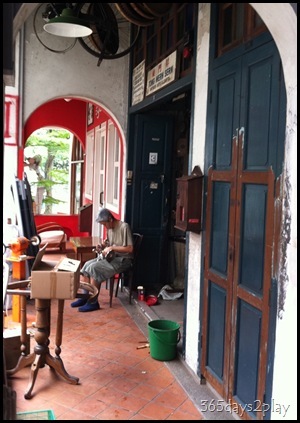 The previous two existing blocks were the first public housing built in the Tanjong Pagar area in 1963 / 64, as part of the second urban renewal pilot project in the Central Area. 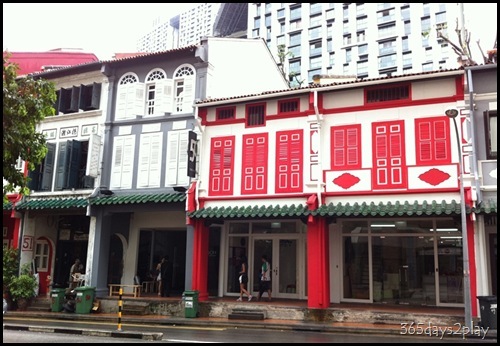 Old Tanjong Pagar vs New Tanjong Pagar… how long will such sights last?